The fall has always been my favorite time of year for a lot of reasons. Football is in full swing, the weather starts to get a little crisp, and the apples need to be picked! Some of my fondest childhood memories are going apple picking with my family. This was a multi-generational event where my brothers and sisters would pile in the station wagon (another fond childhood memory) with Mom, Dad and the grandparents. 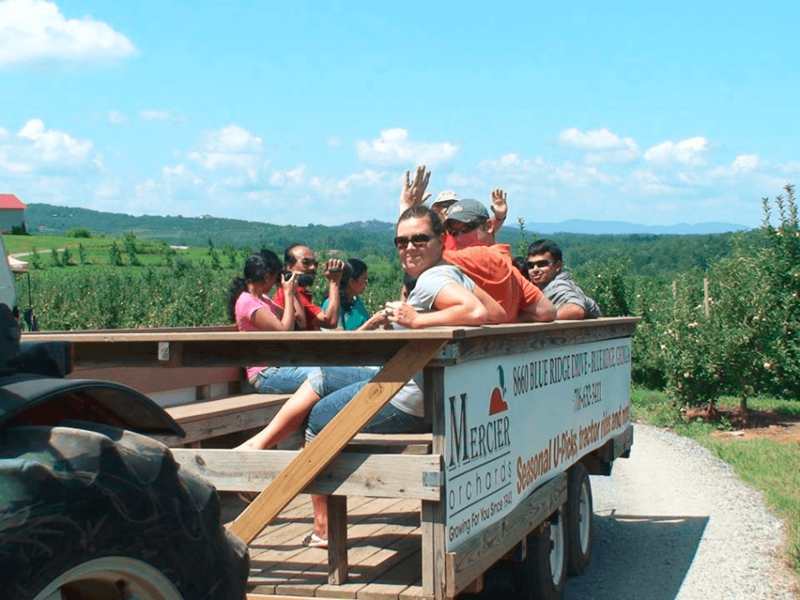 We residents of Big Canoe, have an incredible attraction a little further north, at Mercier Orchards. This is a family owned and operated business for the past 71 years, which has over 50 varieties of apples on the 300 acre farm. We now have the pleasure of extending the family tradition and taking our own kids on a tractor ride, picking some apples and strolling through the country store. If you have never had fried apples before, you are missing out on a special fall treat that the Mercier family has been serving up for years. I could go up to Mercier’s every weekend during this time of year, and I can because it isn’t too far of a drive. Just another reason why we love living in Big Canoe!